The Hypsta strikes to the core of any seasoned rider looking for something fresh. Its name lends itself to most obvious features including the ultra wide tail and unique squared swallowtail. 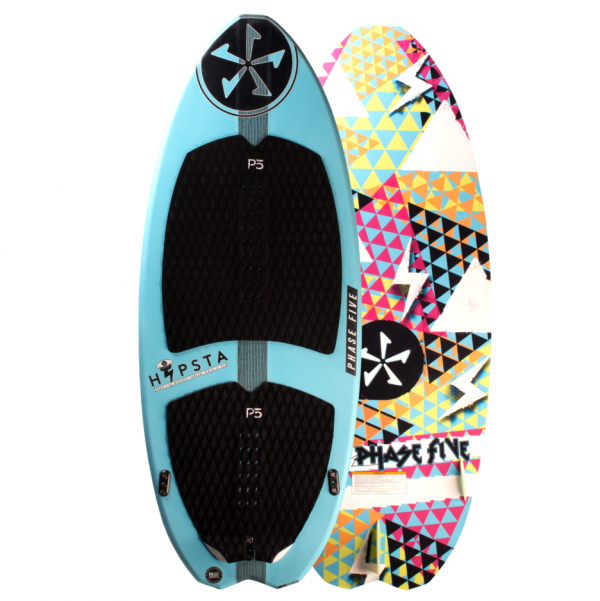 Basically this board will step up your spinning game and challenge the rider in ways that are completely satisfying. 200 lb. riders can easily cruise and get funky on the 50”, while the 54” will handle ANYONE. Any wave is fun on this new sled. 50	50″ × 21″ × .75″	10.6 Liters	200 Lbs. 54	54″ × 21 × .75″	11.4 Liters	250 Lbs.